Brexit will soon make it much more difficult to retain and recruit talented workers from the EU. 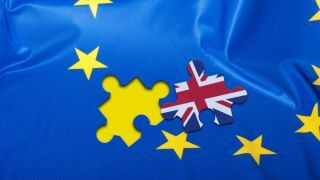 Since the process to exit the EU was triggered by Theresa May on 29 March 2017, concerns have been expressed by various sectors about their ability to retain talent and recruit talented workers from the EU. Interest groups and industry bodies are lobbying to raise their concerns. At the moment workers from the EU (when we refer to EU workers in this article it includes the EEA countries Norway, Iceland and Lichtenstein and Switzerland) are not subject to immigration control and do not need a work visa to work in the UK. The tech sector in the UK is reliant on a diverse workforce. According to techUK, 18% of the sector’s 3 million workers are foreign born, with one third coming from EU countries. Employers in this sector need to recruit the brightest and the best in this competitive market. If they are not able to do this they will lose out to competitors at home and abroad. Smaller tech companies will suffer the most as they will struggle with the costs and time involved in applying for visas and this could put them at a disadvantage. Contrary to popular belief it is not easy to hire workers from outside the EU. At the moment it is only possible to hire a worker from outside the EU under Tier 2 of the Points Based System if their role is at a minimum skill level (NQF level 6) which is effectively a graduate level role and a minimum salary level. In addition in most cases employers must advertise the role in two mediums for 28 days to justify why they are not recruiting a resident worker and are sponsoring a worker from outside the EU. It can take 3 months to secure the work visa and bring the non EU worker to the UK. It can cost in the region of £2,600 for a 5 year visa and from 6 April 2017 the government has introduced an Immigration Skills Charge which will potentially add £1,000 for every year of the visa. A 5 year visa will therefore cost an additional £5,000. The concern for tech companies in the UK is how difficult it will be post Brexit to recruit staff from the EU. Employers in the UK may struggle to pay the immigration fees associated with recruiting staff from outside the EU. The Government has previously said that it was looking at a new immigration system for dealing with migration from the EU. Although more recently the Immigration Minister Robert Goodwill has refused to confirm if the UK will create a new immigration system for EU workers or if the Points Based System will be used. Another concern is the time involved in recruiting staff if visas are required. The UK immigration authorities are not known for their use of technology in making applications, only introducing an online application form for EU workers a few months ago. Previously applicants had to complete a paper form over 80 pages. This uncertainty causes problems for the tech sector in planning ahead. What we do know is that in two years’ time EU workers may need a visa to work in the UK and it might cost thousands of pounds and several months to get that visa in place. This uncertainty around recruitment of EU workers in two years’ time makes it even more important for UK tech companies to make sure their existing EU workers are protected and reassured. The concerns around retention of EU workers can more easily be addressed as there is some certainly around their position. Many employers are now taking the time to help advise their EU workers on what their rights are to reside in the UK post Brexit and some are helping them make the necessary applications to the UK immigration authorities. Help and assistance varies depending on the number of EU workers and also the employer’s budget. Hep and support for employees has ranged from Brexit focused surgery services, presentations easily accessible to their workers on staff sites to paying the application fees. The key message is to reassure existing EU workers that there are steps they can take now to secure their position when we exit the EU. An EU worker who has lived in the UK and worked for 5 years is eligible to apply for a permanent residence card which is evidence of their status as a permanent resident in the UK. As a permanent resident they will not be subject to immigration control. Those workers who do not qualify for this status can apply for a Registration Certificate which will enable them to prove when they first came to the UK. This is important as if immigration control is implemented when we leave the EU is it possible it could be back dated e.g. to apply to those EU nationals who entered after the notice was triggered. Although this is unlikely it does remain a possibility until the Government is prepared to confirm the status of EU nationals living in the UK. As we have seen existing EU workers should be unaffected by Brexit but it is advisable for them to get the relevant documents in place. The main concern is what happens to new workers after we exit the EU. It is difficult for employers to assess how to recruit staff in two years’ time if they do not know what the immigration system will look like for EU workers and whether visas will be required. Employers need to budget for the expense and the time involved in getting visas for workers. EU workers themselves may be deterred from applying for jobs in the UK if they are unsure as to their immigration status. The tech sector should be foremost in the Government’s thinking when considering its future plans on immigration policy post-Brexit. The Government must act to provide reassurance to all EU nationals already in the UK, and in the tech sector, one of the UK’s most marketable and high-value employment sectors. Government should take the opportunity that Brexit affords and create a ‘highly skilled’ immigration category for EU workers, to guarantee residence rights for those that wish to come and work in the UK. This would be of significant benefit to a number of key high-value sectors of employment in the UK, including in tech. It is for the tech sector to lobby now for such exemptions and to make their case.